This book will help you to understand elementary mathematics more deeply, gain facility with creating and using mathematical notation, develop a habit of looking for reasons and creating mathematical explanations, and become more comfortable exploring unfamiliar mathematical situations. The primary goal of this book is to help you learn to think like a mathematician in some very specific ways. MERLOT is a program of the California State University System. It is a repository of teaching and learning materials submitted by users, spanning all ages and subjects. Attribution-NonCommercial CC Licensed open text from the Open Textbook Library. Authored by A.W. (Tony) Bates from University of British Colombia with ten reviews. 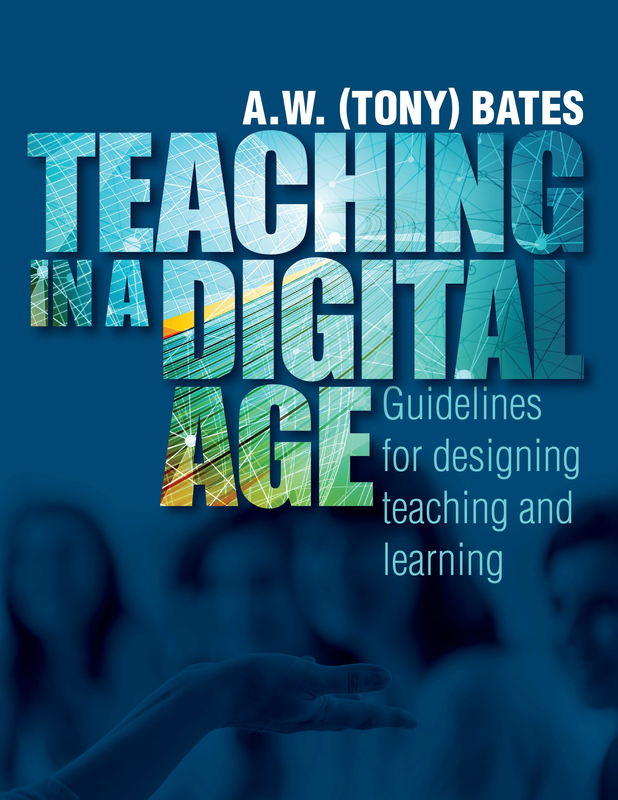 "In summary, the book examines the underlying principles that guide effective teaching in an age when everyone, and in particular the students we are teaching, are using technology." Chapters 11 & 12 are about assessment. Click the link and then login to see the results of each subject search listed below. When searching for a library eBook to use for all your students, look for the Concurrent User Level field in the eBook description. Unlimited User Access eBooks can be used by everyone at the same time. Transforming Formative Assessment in Post-Compulsory Education: Through a series of case studies, the book highlights how factors in one learning context can conspire to make feedback and other forms of formative assessment highly instrumental, whilst in others this can be a springboard to deep and meaningful learning. Classroom Assessment in Action: Includes Orientation to Assessment, Planning Assessments, Observation: Bases of Assessment, Formative Assessment: Using Assessment for Improving Instruction, Performance Assessment, Developing Objective Tests, Developing Subjective Tests, Selecting Standardized Tests, Technology in Assessment, Improving Tests, Domain-Specific Assessment and Learning, Grading, Supplementary Assessments of Individual Differences, High-Stakes Testing: Policy and Accountability, Assessment and Best Practices, Test Bias, Fairness, and Testing Accommodations. What Teachers Really Need to Know About Formative Assessment: Explains how to make formative assessments a seamless and natural part of the teaching process and provides assessment strategies that can be used before, during, and after instruction to learning. Designing Elementary Instruction and Assessment : Using the Cognitive Domain: This user-friendly resource gives teachers clear, step-by-step guidelines for writing measurable objectives and developing appropriate formative and summative assessments to guide instruction in the elementary classroom. Access the following; school grades, assessments, data systems, reports, resources, publications, guides, and interactive reporting. This site provides examples of test questions used on Smarter Balanced assessments in English language arts/literacy and math. Teachers, parents, students, administrators, and policymakers can experience these test items just as students encounter them. Text covering the progressive psychological changes that occur in learners up to adolescence. This site provides open access courses on the topic of child & youth development, including topics such as Human Growth and Development, Intellectual Development, Child Development and the PITS, Promoting Positive Development among Youth, and more. A multidisciplinary, not-for-profit, professional association with an international membership of approximately 5,500 researchers, practitioners, and human development professionals. This site provides free access to some of the articles published in this journal. Open-access, peer-reviewed, bilingual Internet journal in early care and education. This is a site dedicated to "Assisting parents and families in understanding developmental, behaviorial, emotional and mental disorders affecting children and adolescents." A site "designed to provide the information and tools parents need to understand their unique child/children and to enable them to help each child develop into the successful human being they were meant to be." Has useful sections about Ages/Stages, Development, Health/Safety, Psychology, and more. From the Social Psychology Network, links related to infancy, adoption, childhood development, child protection, parenting, adolescence, and more. Organized by topic. Free app. "Training application using simulations and an interactive environment to model and display a child's behavior based on interventions applied by the user." Focuses on broader questions and principles taken from psychology per se, and the second half focuses on somewhat more practical issues of teaching. But the division between “theory” and “practice” is only approximate; all parts of the book draw on research, theory, and practical wisdom wherever appropriate. Chapter 2 is about learning theory, and Chapter 3 is about development; but as we point out, these topics overlap with each other as well as with the concerns of daily teaching. Chapter 4 is about several forms of student diversity (what might be called individual differences in another context), and Chapter 5 is about one form of diversity that has become prominent in schools recently—students with disabilities. Chapter 6 is about motivation, a topic that is heavily studied by psychological researchers, but that also poses perennial challenges to classroom teachers. These open textbooks cover various topics in education, including classroom management and supervision, contemporary issues in education, and special needs education. The list of books is comprehensive; it’s best to skim through the list to find specific-interest books. Collection of teaching and learning materials for teacher education. Browse by broad category. Introduces instructional strategies linked to the most current research-supported practices in the field of literacy. The book includes chapters related to scientifically-based literacy research, early literacy development, literacy assessment, digital age influences on children's literature, literacy development in underserved student groups, secondary literacy instructional strategies, literacy and modern language, and critical discourse analysis. Chapters are written by authors with expertise in both college teaching and the delivery of research-supported literacy practices in schools. The book features detailed explanations of a wide variety of literacy strategies that can be implemented by both beginning and expert practitioners. Readers will gain knowledge about topics frequently covered in college literacy courses, along with guided practice for applying this knowledge in their future or current classrooms. The book's success-oriented framework helps guide educators toward improving their own practices and is designed to foster the literacy development of students of all ages. Teaching and learning resources from the Open University (based in UK). A dynamic textbook for the yearlong Human Anatomy and Physiology course taught at most two- and four-year colleges and universities to students majoring in nursing and allied health. A&P is 29 chapters of pedagogically effective learning content, organized by body system, and written at an audience-appropriate level. Online open textbook including in-depth coverage of human physiology. Listing of textbooks and learning materials on health and health-related topics. Course format includes, lecture videos, interactive concept quizzes (solution key), problem sets, terms and definitions, suggested topics and links, and exams (with solution key). From the Open University, this course looks at the role played by the media in sport and how this has changed with the development of internet and satellite TV. This lecture by Prof. Timothy Noakes discusses the role of science in assisting the rise of South African cricket and ends with the story of Lewis Gordon Pugh’s swims in the Antarctic and Arctic including his epic 18 minutes (1km) swim at the North Pole in June 2007. From the Howard Hughes Medical Institute, this 30-second video compares the activity of a normal mouse to one with a mutation in a key gene controlling obesity. Dr. Scott Sailor (Cal State Fresno) created videos on several tests used to determine the type and extent of injuries. This collection of seven videos from the Dallas County Community College District are available free from iTunes. The videos demonstrate lower body workouts, upper body workouts, and a cardiorespiratory endurance test. This online exhibition features a small selection of material held by the University of Nottingham relating to sport. It includes photographs of University sports teams and items relating to the wider history of team sports and individual exercise through the centuries. Click the "View Resource" link and the collection will open in a new window. Discusses the nutritional disorders defined by the Merck Manual. Discusses the human body, diet, diseases, and pregnancy. A wonderful video compilation of healthcare and medicine topics: Lungs, The heart, and influenza are few posted. Need help creating a diet for the little eater? This page provides ideas, plans, and activities to get even the most pickiest eater on the road to healthy eating. In this book the authors examine ways to improve the school nutrition safety and the school food supply. Federal nutrition programs are intended to provide children with healthful food to eat at school. During the last reauthorization of the Child Nutrition and National School Lunch Act, the authors required meals to be in line with the Department of Health and Human Services'dietary guidelines. The new 3rd edition contains updated guidelines on the development and evaluation of the health and safety of children in all types of early care and education settings - centers and family child care homes. Signing Savvy is a sign language dictionary containing several thousand high resolution videos of American Sign Language (ASL) signs, fingerspelled words, and other common signs. This multidisciplinary resource develops topics of interest to all those who care about and for individuals with co-occurring intellectual disabilities and mental illness.